With Stoke City now looking an assured top ten premier league side, after seven seasons in the top flight, many onlookers will feel the Potters will struggle to break through the glass ceiling of the top six, pushing for a European place. The recent acquisitions brought in during the close season will certainly help their quest though. Spanish forward Joselu signed from Hannover for £5.75 million and box to box midfield prodigy Marko van Ginkel, on loan from Chelsea, are just some of the new faces that will add to the quality that already exists throughout the squad. Stoke is now seen as an attractive place to play your football in England, a swoop for Switzerland ace Xherdan Shaqiri, which would have broken the club’s transfer record, shows the ambition at the top. 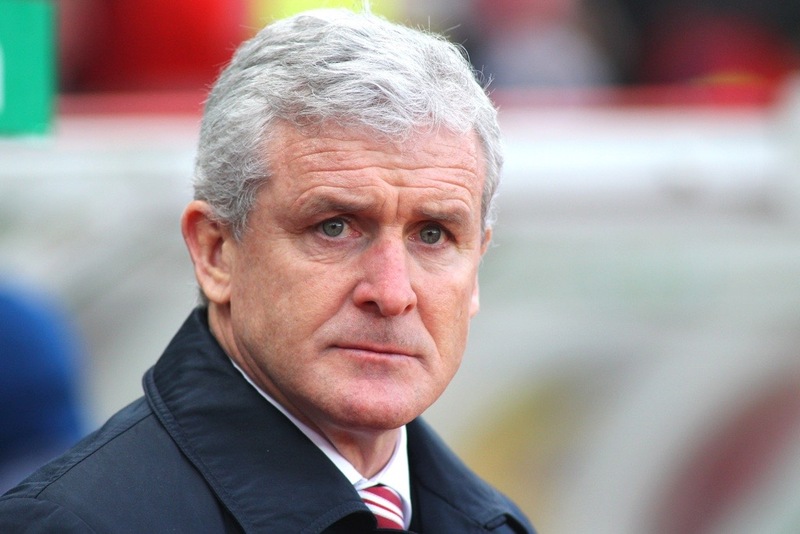 Tony Pulis’ hard graft in getting the club back to the promised land and then transforming the side into a stable premier league outfit left a fantastic platform for current manager Mark Hughes to improve the side further. After successive top ten place finishes in the top tier of English football for the first time in the club’s history since 1975, they should now be seen as no pushovers. There cannot have been many pundits out there, after an incredible debut season in the Barclays Premier League, thinking the style of play could have changed like it has. Slowly but surely towards the end of Pulis’ reign and when Hughes took over, the club have become a vastly improved footballing side. Solidity at the back has not been dismissed though, even without skipper Ryan Shawcross for large periods, only five teams had a better defence than Stoke in the league last campaign. Beating Liverpool in the finest fashion on the final day of the 2014-15 season was one of the many highlights last term, ‘I’m sure that people will sit up and take notice of this result’ were the words of Hughes’ after the game. Another test against the Reds on the first weekend of this campaign will be a good indicator of what Stoke can achieve when May comes around. A lack of consistency in results is one area Hughes will be keen on improving, defeating the so called big boys away from home does not really mean anything if you concede sloppy goals and lose against promoted teams in your own backyard. An even stronger season than last will beckon if this can be put right. Being more clinical in front of goal will also be important this time around, Stoke had the sixth fewest shots on target in the league last season. Optimism in the camp is still high despite the sale of midfield maestro and and ‘Player of the Season’ Steven N’Zonzi to Europa League champions Sevilla. Life after the Frenchman may not prove as problematic as the Potters now have plenty of midfield options in their ranks. Promising young English talent Jack Butland was always pushing to become first choice goalkeeper anyway, so the inevitable transfer of Asmir Begovic to a club playing Champions League football should not bother too many Stoke fans. Poor pre-season results are somewhat of a concern ahead of a difficult opener, but at least players will be fresh after a decent run out over the last few weeks. Come Sunday afternoon no doubt the Britannia Stadium will be ready. ← The World’s Worst Place to Be Disabled?